On the weekend just passed was AVCon, Adelaide's yearly Anime and Videogame convention, and for the second year running I was fortunate enough to be able to present Assault Android Cactus at the Indie Games Room. Last years IGR was the first time the game was shown in public so it felt great to catch up with everyone I met last time, meet new developers, and show off the progress we've made on Cactus. I had the latest build with me, which included voice acting for the androids (in-game voices, replacing the previously synthesised ones) and revealing the eighth playable character, Peanut! (more on her in a moment!) The voice acting will be in the Steam Early Access build soon, but Peanut is likely to remain in tuning and testing until the next boss is ready, so this was a great chance to see what people thought of her well ahead of loosing her on the leaderboards. "I am able to get so much game development done because I don't waste time brushing my hair and I simply fan myself cool whenever my brain starts to overheat." On the Saturday I was part of the Indie Games Room Showcase up on the main stage and hosted by Jessica Citizen of Player Attack, and while I thought I was simply nervously blathering to a live audience, the entire thing has actually been recorded for posterity and made available on Twitch. The Showcase starts around the 5 hour 21 mark, although if you want to skip right to where I show up, that's at 5:51:15. On Sunday I ran a panel called "It's Dangerous to go Alone! Adventures and Pitfalls of Independent Game Development" with Tony Albrecht and Chris Avellone, which under the pretence of discussing the differences between working under large companies and going it in your own quickly became about scaring anyone considering a path in indie development. The panel was a lot of fun, had some good questions and some great stories and I hope our audience got as much out of it as I did! Thankyou to AVCon and IGR staff and volunteers, everyone who came by to play the game and or chat with me, and everyone else who helped make it a fantastic weekend! "Hey kids, wanna see what's under the patch?" I've been sort of tight lipped about the last of the playable characters, even teasing a little on Twitter when it came to the badge designs and weapons, but now AVCon's been and gone I'd like to introduce Peanut, a mechanic who's more comfortable in the lower levels of the ship and who's only ventured into the fray to figure out what all the recent hubbub is about. If you're wondering why she's got a different look to the other androids, it's largely to do with where she was manufactured and from the neck down, that wasn't the body she had when she left the factory. "Well I'm not cleaning that up." Headgear aside, and of greater importance to many Cactus players, she's also sporting some new toys! 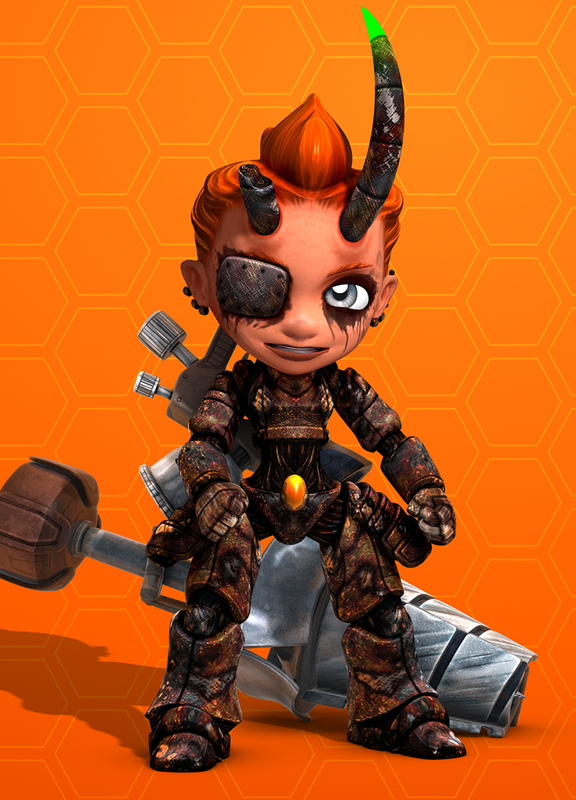 Peanut is the proud owner of the Magma Welder and her secondary weapon, the Giga Drill Lance. Some people were likening the Magma Welder to a flamethrower, but I think it has more in common with a garden hose. It's a continuous fire close range weapon and as well as pouring damage directly onto enemies, its splats take a moment to evaporate and can really make a mess of things. Meanwhile the Giga Drill is a weapon I'm very happy to finally have in the game! Part rocket lance, part industrial drill, it shares a trait with Shiitake's railgun in that it's one of the two weapons in the game that needed to be animated just so it can fold up small enough to be stowed away on her back. I wanna take you for a ride! 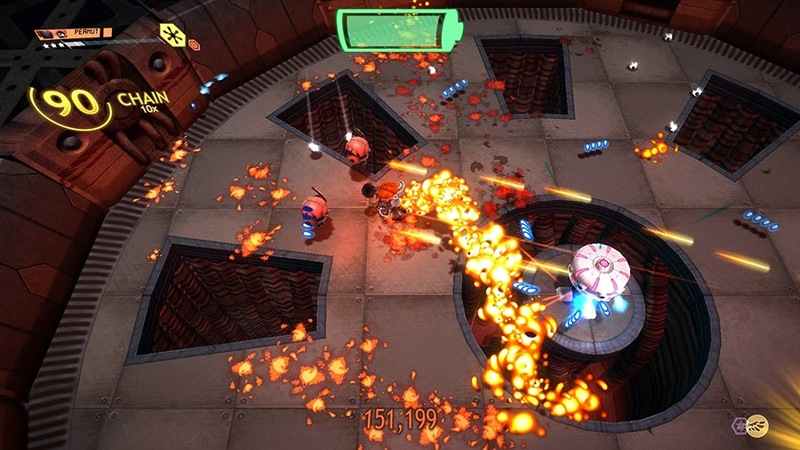 It's not only the first melee weapon in Assault Android Cactus, it's the first weapon to affect the players mobility, and definitely the first weapon to impale large enemies and screw them to the walls! The bad news is Peanut won't be showing up for a little while but I hope you've enjoyed this sneak peek of what's to come!